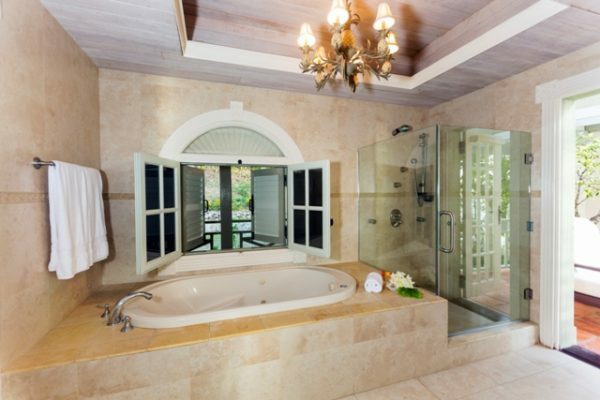 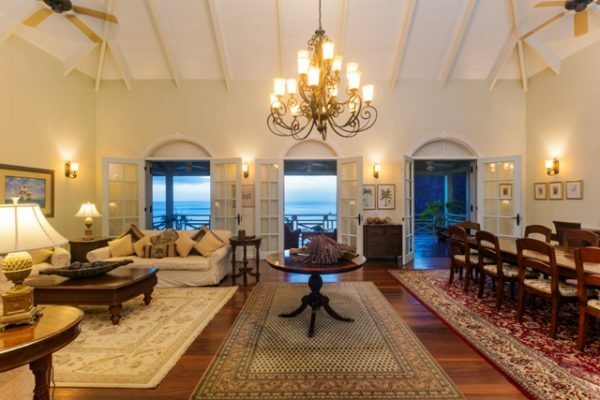 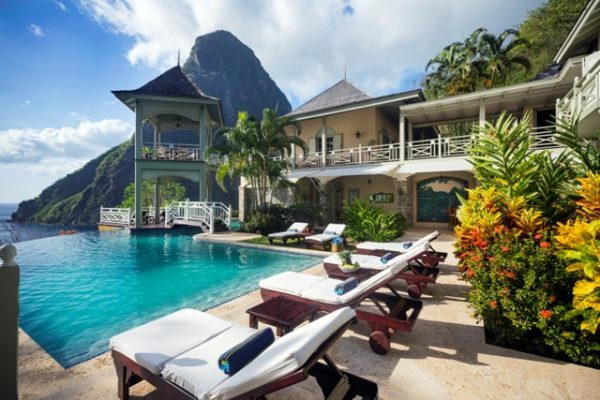 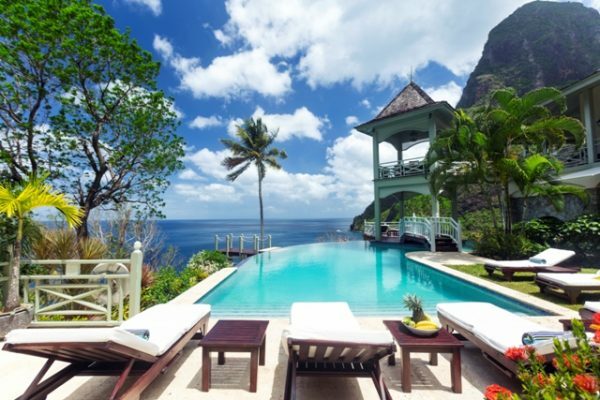 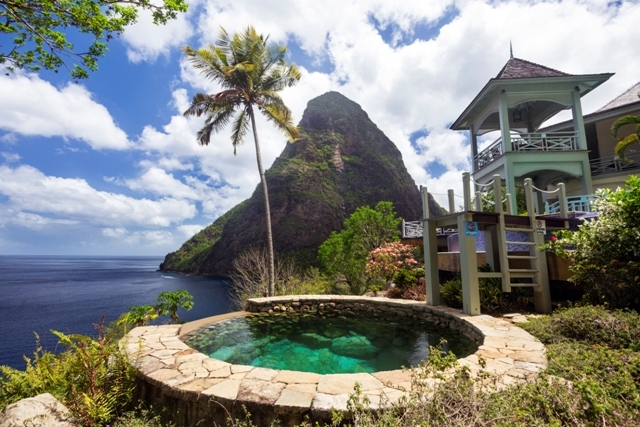 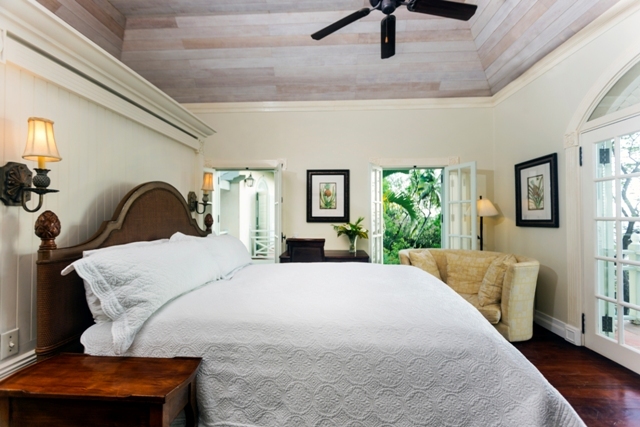 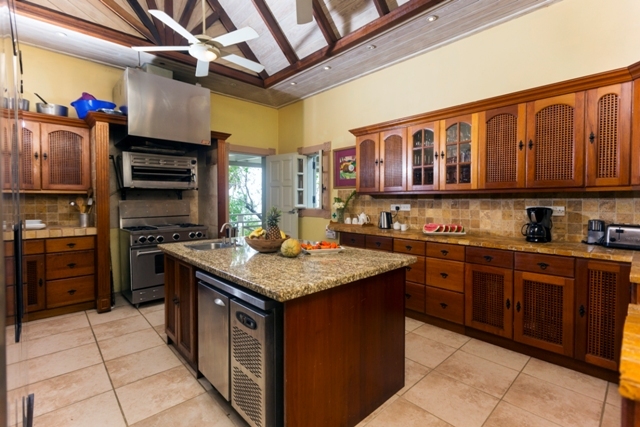 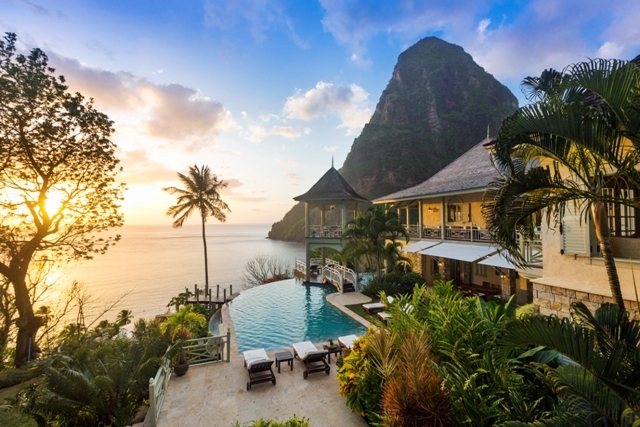 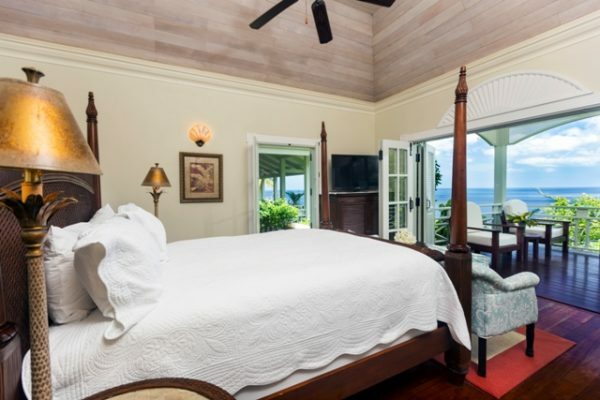 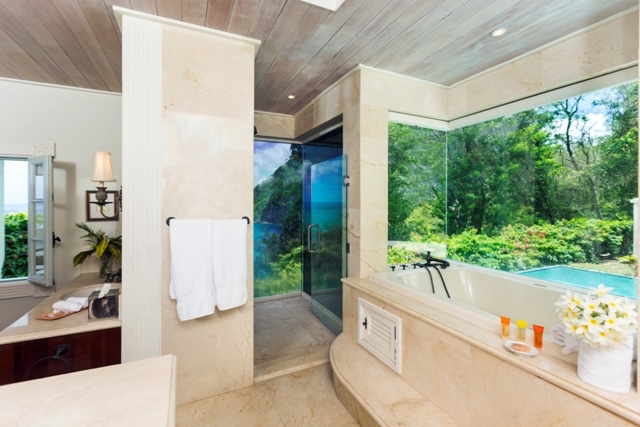 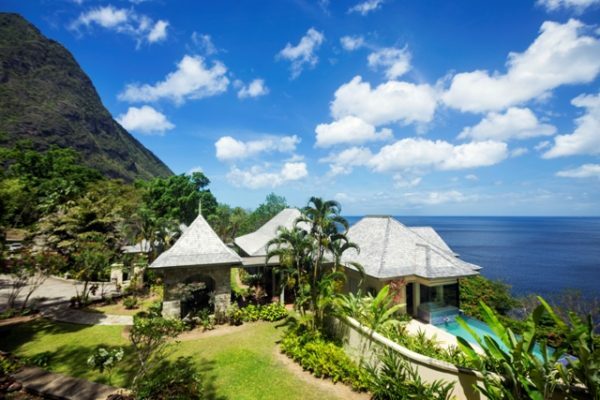 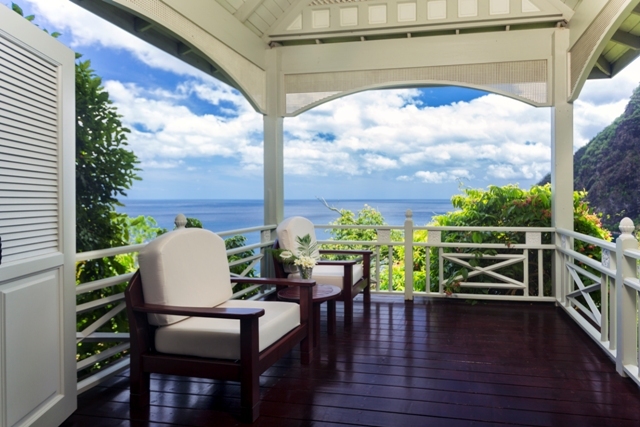 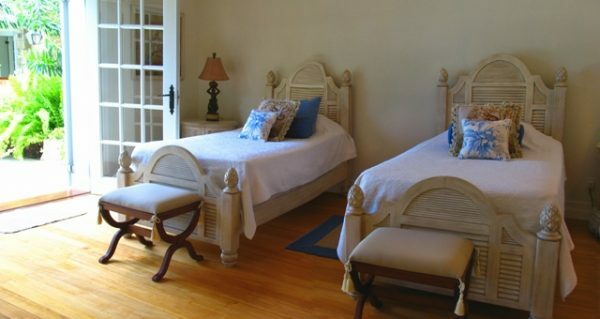 Arc En Ciel is a beautiful property situated on the Beau Estate, between the World Heritage site of the Pitons. 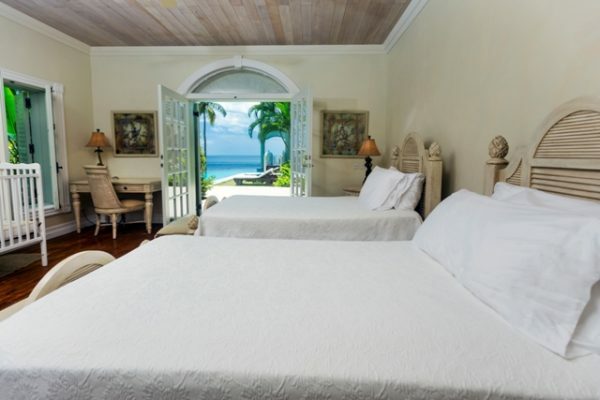 Above the Caribbean Sea and only a short distance to Sugar Beach it is truly a spectacular place to stay. 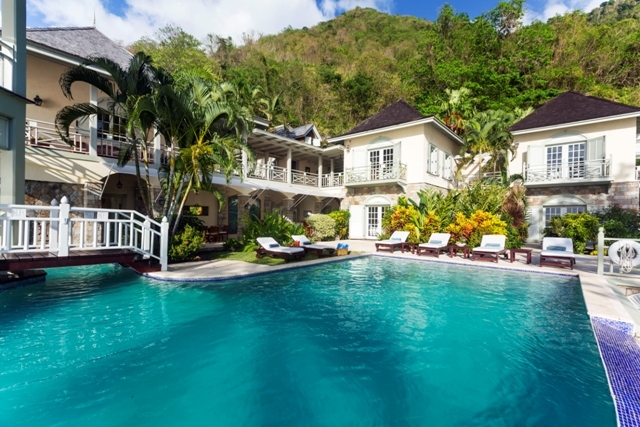 The nearest town is the sleepy fishing village of Soufriere, with access to diving and snorkeling at Anse Chastanet beach and exotic tropical gardens and mineral baths at Diamond Estate. 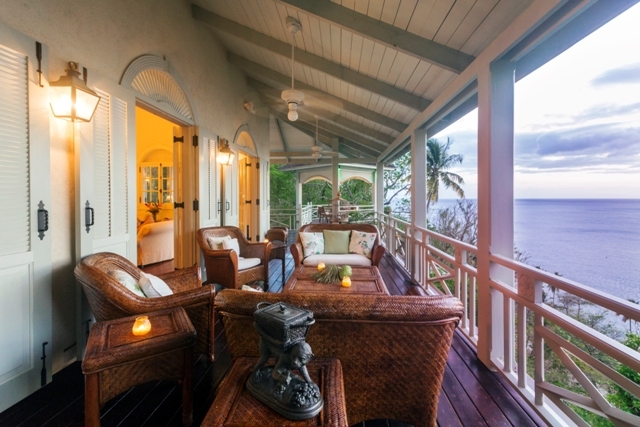 Arc En Ciel has been imaginatively designed by architect Lane Pettigrew, and it incorporates many aspect of traditional Caribbean style with its verandahs, jalousie shutters and wooden railings. The outside of the house has been partially finished with a facing of hand chipped stones to resemble the exterior of forts which were built on the island many hundreds of years ago. 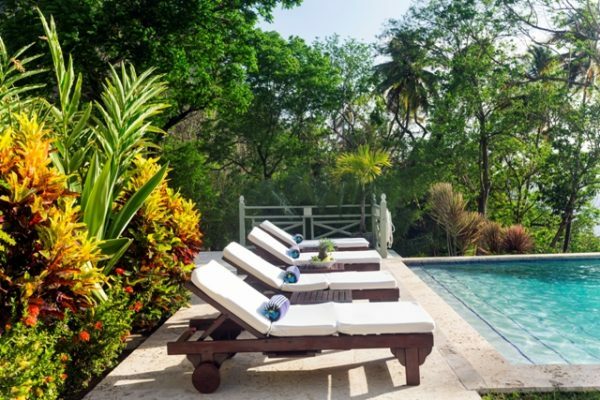 Surrounding the house is an extensive landscaped garden featuring a wide range of exotic plants, flowers and trees.